Lawn weeds are present in almost every lawn. 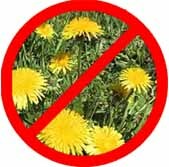 When your lawn is weak, it can have a much more difficult time fighting off weeds, pests, and diseases that would love to take its place! Crab grass forms thick clumps of light green leaves. it is highly competitive with turf grasses. Its a persistent weed that germinates with each lawn watering. Other pests, such as your own pets, lawn fungus, or mushrooms can wreak havoc on a once-meticulous lawn.